The SpeedTrap™ Velocity Recorder has been designed to measure velocity of the energetics. This instrument will allow for the accurate measurement of the speed of a variety of detonating cord, shocktube, packaged product and/or pyrotechnic materials. The SpeedTrap™ Velocity Recorder has the ability to use optional Break Wire screens or optional Fibre Optic Cable. The User can tailor the product and only buy the required options. This keeps this product the most cost effective while the User can get the performance. The optional Break Wire setup is provided with the two Break Wire modules and the appropriate firmware in the unit. This will allow the unit to use enameled wire as break screens in the start/stop system. 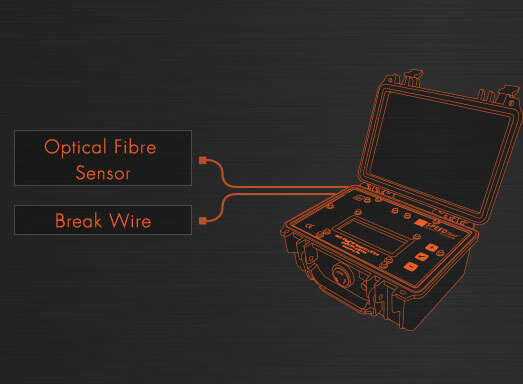 The optional Fibre Optic setup is provided with the two Fibre Optical Sensors and the appropriate firmware in the unit. This will allow the unit to use fibre optical cable as light sensors in the start/stop system. These two options can be in the system together to allow the user to use either Break Wire or Fibre Optic setup. For more information, click here. 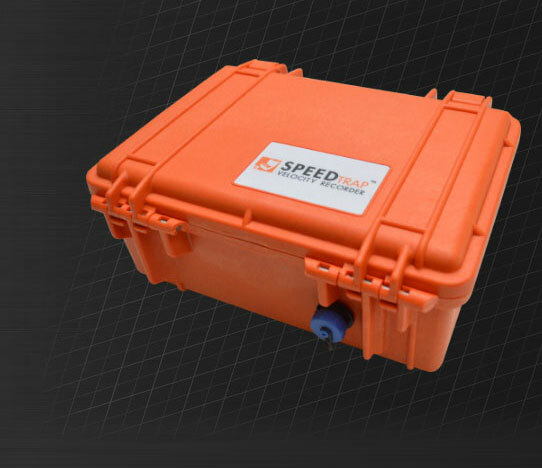 Compatible with SpeedTrap™ Velocity Recorders containing the SpeedTrap™ Fibre Optic Firmware. Provided on a 100 m (328 ft.) spool. Compatible with SpeedTrap™ Velocity Recorders containing the SpeedTrap™ Break Wire Firmware. Provided on a 768 m (2520 ft.) spool.